India has a teledensity of around 73% and out of which 80% are active telecom users. Every month more than 4 mn telephone users are added and Mobile phone has become a way of living. The modern youth is 24X7 hooked to their gadgets..so much that they eat, sleep and live with their phones. India is the third largets country after USA and China in terms of Internet usage. Around 165mn Internet users in country out of which 140mn are mobile internet AKA MI users. 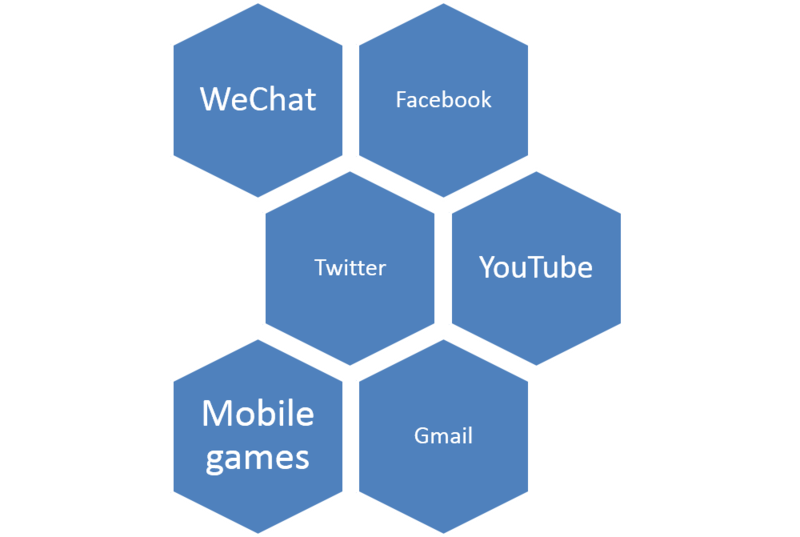 And they are expected to reach around 185mn users in next few months. Such a superlative growth! How could marketers leave this opportunity untapped? Well they didn't. The high Internet affection and penetration in country has invited 1000s of companies, R&D and Web based companies to set up their business in the sphere and set their cash registers ringing using the GEN I [Internet] technology. "Indian diaspora is perennially transforming from Parle G, Glucon C to New age food for Youth via 2G to 4G data opportunities". 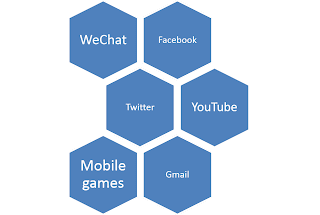 Facebook, Google, Twitter, WeChat/ WhatsApp, Youtube and mobile Gaming forms the formidable league of social networking that rules the Internet roost. Thus making the country's youth more loyal to their smartphones than anything else in their life. You can live without your wife for a day but living without your phone for an hour? IMPOSSIBLE!!! Social Media made Indian Youth Global. Thy can create profiles on facebook and make friends at any part of India. It has made them social. Now using the telephone chat option they are frequently in touch with their friends. It has made them loving and they love to share their thoughts, their pictures, their food, their Tommy's tail everything on their socila media and yes they actively participate in the debate whether Dhoom 3 will be a great movie or why Aam Aadmi Party deserve to win this election [Well social media had a great role to play there as well] Not just that, Social media has also made the Indians more religious, for whether they have time to participate at home aarti or no, they definitely do their "temple run" religiuosly everyday, every hour and even brag to their friends that how they ran for 10KM today, ahead of everyone. So you must be thinking when we have a tool as strong as powerful as this, why it should be just limited to entertainment purposes only? Social media has a "social" word in it and why not the power of it to be extended for Social Cause and upliftment of Society. went to attend the rally and his wonderful speech thereafter? What none? Ok how many of you watched on TV? That count must be in 10 times more than the reported nos actually presented in the rally. So, tell me how many watched the speech on Youtube and how many tweeted about it on Twitter and the figures would be astounding and humongous and the profile would be essentially youth! This year around 60% plus of Delhi population come to vote and the result of which created a history. A non reckoner party from nowhere has won the election and made the unthinkable happen. How? simply by using power of social media. I saw around 1000 jokes on Congress, BJP and AAP floating on Internet with more 10,00,000 shares. Indian youth who said politics is boring stuff from him, can be seen active on it's update via social media. They have become a generation who are not influenced by mere family o peer group but a whole lot of influence comes from via Social media where in a click of button they are connected with Narendra Modi on Twitter to Salman Khan at +Salman Khan and even to GulPanag and who not. Such is the powerful reach of social media. Entertainment is the simplest language that everyone across the demography- literate, illterate understand well. That is why Social NW Apps like Facebook and Youtube are the most visited page on Internet. Also it is the simplest strategy that we use to get people hooked up to something new? Like computer games to make children at ease with computers. Once they get hooked up, we need to book them up with right education, information to present the agenda challenges etc. Next stpe is empower them via same social media apps and further elevate their strength towards maximum benefit for maximum nos i.e. country at large. And how? Well you have plethora of apps to do that. All you need is good intent backed by powerful imagination and inclination and you get the moon, sun and stars. how? I will tell you how. Using social media, do research/dipstick on no of eligible voters in a vicinity vis a vie actually no of votes coming from that area. The balance is your target group. 1) Separate groups for the two different types of people as mentioned above and the possibility of mixing the (1) voter in the group no (2) bring in the voting philosophy. 5) Voter Registration card- The most important, this card would be made, issued to all voters in the area using their unique mobile nos [as the proof of identity and proof of residence is a must while applying for a connection]. They can fill an easy to use online form and for people who cannot read or write, can use the simple USSD format to register for the same. 7) WeChat up with your respective candidates wherein yoiu post them questions via Quora.com or any other medium and gets the answer. 9) "Speaking Tom AKA Speaking minister- Lolz you have got me thinking! 11) Using MObile phones in place of Electronic Voting Machine AKA EVM- Can you imagine how this can help you to vote your preferential candidate without stepping out from your home? Not just that this will also encourage the migratory crowd to vote from whichever far off location they are. If you think migratory crowd is a lesser no, then come to cities like Mumbai, Maharashtra etc and see how certain companies are highly dependent on their migratory crowd. A lot of people do not know the candidates and often stumble with the name and what happens? They do eeny meeny moe in end and caste their votes to the most undeserving candidate by fluke. However social mobile apps are something that from an angry bird to fruit NInza to Twitter, Fb etc everyone understands and adopts well. The DK syndome can be fought using this and also by making some specialized gaming apps wherein a person can play level to level and know about their voting rights, candidates profiles etc all in simple interactive manner. 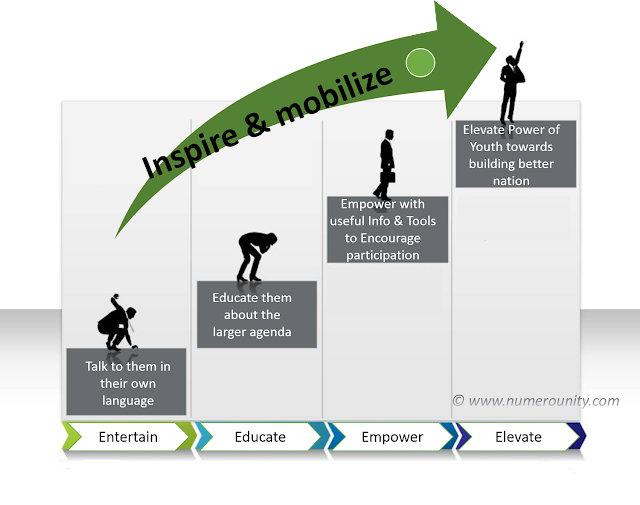 There is no end to possibilities of using social mobile apps and mobilize Indian youth to vote for India in General Elections 2014. Vote via social media, #VoteForIndia. Come on folks! together we can and we shall make the diffeence! Vote for India and make sure every vote counts! Long but incisive. You said it right when you say that youth depend on social media for information and are not among the crowd that goes to attend a political rally but they will sure tweet or update their status about it and share their opinions with the world. just one thing, validity of Rs 25 MI product has changed :). Using mobile phones to exercise your franchise is an excellent idea. Can save a lot of time and money. Want to give you a tidbit about mobile phones. In the mid 80s, one of the biggest telecom companies in USA contracted with a leading consulting company (and paid $2 million) to study how many people will be using mobile phones in the world in 2010. That consulting company came with a number of 500,000 (five lakh) people will be using mobile phones in the world in 2010. Therefore, that telecom company gave up the idea of pursuing mobile phones. Today, my hometown in Tamilnadu, Trichy, has more than 5 lakh users. Whoa! That is some data...thanks for sharing..I am happy to see the transformation and the potential for transformation being led by digital media and Information technology!